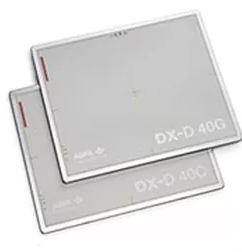 With the DX-D 40 digital detector, your direct digital radiography (DR) solution will be up and running in no time! Easy and fast installation means you get the benefits of DR, in an instant. The new Automatic Exposure Detector (AED) eliminates the need for an electrical connection to the digital x-ray machine, so you can use it seamlessly with virtually any X-ray system, right away. The NX DX-D 40 Retrofit Packages offer general radiographic facilities all the advantages of Direct Digital Radiography, while maximizing the use of their existing equipment. The SE + NX DX-D 40 Retrofit Packages are All-in-One Solutions that combine the qualities of NX for acquisition and processing with those of SE for reading and archiving. 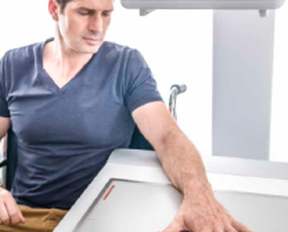 Medlink Imaging provides a full array of Radiographic Equipment for all fields of practice. From a full analog x-ray unit to all types of digital equipment and technology, we’re a one stop solution. For any questions or to start the purchase process click below.